In 2013, the city of Chicago and Chicago Public Schools voted to close 49 low performing schools around the city. As a result, Chicago’s communities fought back and voiced their discontentment with the school closures. And now, five years later, the city is in the process of closing down even more schools. The South Loop institution that will potentially be closing is National Teachers Academy, NTA. The school is 82 percent black and 79 percent low income. Despite statistical data about minority and working class community schools, NTA is a level-1 institution, a significant boost from its initial level 3 status when it was first opened in 2002. So why is the city looking to shut it down? South Loop residents and activists say they need a community high school. “If you talk to young adults or senior citizens who grew up in Chinatown, you’ll hear them tell stories about having to travel far distances to find a good high school to attend,” said David Wu, chair of the Coalition for a Better Chinese American Community education committee. Only eight percent of high school-age students in the Near South Side attend a neighborhood school. Over 50 percent of high school students in the South Loop and Near South Side area attend school out of their school district. By turning NTA into a high school, there will be a neighborhood high school for the students to attend but shutting the school down has upset a lot of community members because it removes an elementary with a predominately African-American and low-income population. Parents and advocates have said that no alternatives were seriously considered. While local parents and students are against closing NTA, in fear of the future of their kids, members of the Chinatown community have expressed differently. They support CPS decision in wanting to turn NTA into a high school and expand the boundaries, which would allow the school to serve communities in the South Loop and Chinatown neighborhood. Making it the one of the most diverse schools in the city. “For years, there has been a need for a high school close to Chinatown. If you look at a map of high schools in Chicago, there is a big hole surrounding Chinatown with no neighborhood high schools in Bridgeport, Armour Square (Chinatown) and South Loop,” Wu said. In order for students to attend a high performing school, they have to travel to schools like Curie, Bogan, Lindbloom and Kelly High School, the most popular by Chinese immigrants. All of them require about a 15- to 20-minute bus ride to reach. The Chinese-American community has been pushing for a neighborhood community but have yet to have received one. “Through a recent property tax increase for CPS’ capital needs, funds were set aside for a new high school on the South Side. Chinatown was the first community to advocate for it but ultimately, Englewood was selected,” Wu said. The impacted communities have continuously expressed negative reactions regarding the news of more school closures in their neighborhoods. The school board has voted to close four schools in Englewood and one school in the South Loop. These schools include Robeson High School, Hope High School, Team Englewood and Harper High School. 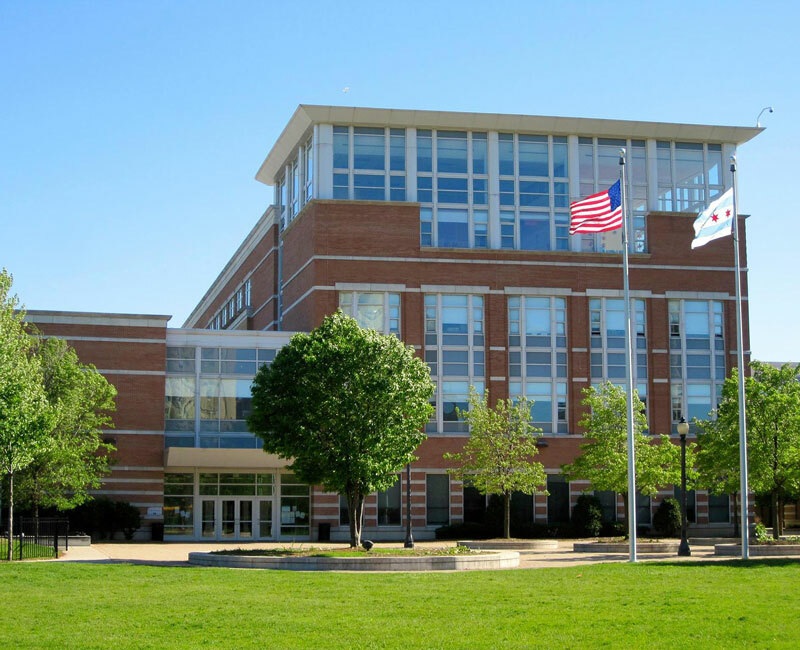 Despite community distress about the closures, the city intends to proceed with build a single community high school over the next three years in Englewood. NTA parents, community members, faculty and staff have created a safe haven to voice their grievances about the potential school closing. Every Friday from 8:30 a.m. to 11:30 a.m., a meeting is held at JP’s Corner, a classroom designated for parent gatherings. About 16 parents, including Latinx, black, white and Asians, came together at JP’s Corner, a room specifically for parents gatherings to discuss CPS’ decision. Some parents had toddlers and babies with them, others in their scrubs or office clothes. Some of the attendees didn’t even have children in the school, but empathized because their community schools were closed in the past. These parent meetings give anyone who attends a voice and chance to speak up about the concerns of their neighborhood. The NTA is one step closer to closing as the Chicago Board of Education has approved CPS’ plan. “Our school isn’t closing. No matter what you heard, what you read, what people are talking about, NTA is here to stay,” she said.